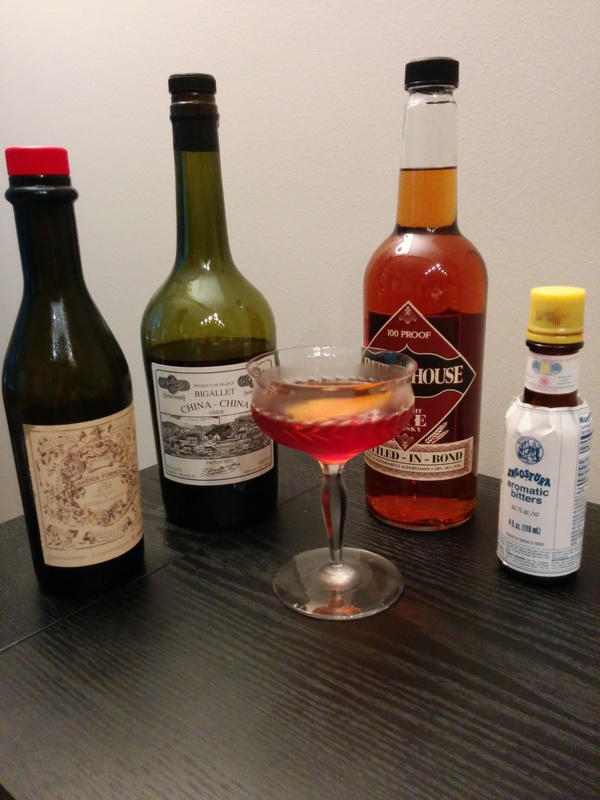 Last month’s column spotlighted the ingenuity of contemporary bartenders in crafting cocktails that honor The Brooklyn, despite lacking a single ingredient, the magical elixir Amer Picon. Created by Gaéton Picon in 1837, the orange liqueur wasn’t all that easy to acquire back in The Brooklyn’s pre-Prohibition heyday and has not been exported to the United States in some time. Further complicating matters was the reformulation of Picon in the 1970s, reducing its alcohol content and altering the flavor. What’s sold under that name nowadays has its charms. But “it’s not the same,” as a Paris bartender told me, sounding as wistful as Burt Lancaster in 1980’s Atlantic City (“You should’ve seen the Atlantic Ocean in those days”). Picon is used to its greatest effect in the Brooklyn. That drink’s first recorded appearance comes in the 1910 book Jack’s Manual by Jacob Grohusko. His recipe was much closer to a Manhattan, calling for equal parts rye whiskey and “Italian” (sweet) vermouth; by the publication of 1930’s Savoy Cocktail Book , dry vermouth had become the standard. The scarcity of Amer Picon put a dent in the Brooklyn’s popularity and in turn spawned that brood of tribute cocktails. But another option has appeared of late, one that produces a Brooklyn closer to what Jack Grohusko himself might have poured. The amer China-China (pronounced “sheena”) was developed by Felix and Louis Bigallet in 1875 at the family’s Lyon distillery. Like Amer Picon, it combines orange peels with cinchona, gentian and other spices. But it’s 80 proof, compared to Picon’s original 78 proof formula. Think of it as a boozier, more viscous variety of present-day Picon, one with a bolder orange flavor. And unlike Picon, it’s being sold in the United States as of 2013. The Brooklyn is the obvious place to start sampling the now readily available Bigallet China-China. Where to next? Permit me to suggest the Liberal. The recipe as it appeared in George J. Kappeler’s Modern American Drinks (1895) is almost too simple: “one dash syrup, half a jigger Amer Picon bitters, half a jigger whiskey … a small piece of lemon peel on top.” It would evolve over the decades; Albert Stevens Crockett, in his 1931 Old Waldorf Bar Days , drops the syrup and adds a crucial missing element—the drink is now half whiskey and half sweet vermouth—but scales the Picon down to a mere three dashes, which hardly seems worth the trouble of flying back from Marseilles with several bottles taped to your chest. Modern versions of the drink vary. One uses equal parts rye and vermouth while preserving Crockett’s scant quantity of Picon, while another is spirit forward but boasts hefty, equivalent portions of vermouth and amer. When in doubt, turn to a bartending icon. Murray Stenson, veteran of several landmark Seattle bars (Zig Zag Café, Canon) and currently holding the fort at the Queen City Grill, contributed mightily to the Liberal’s revival. He noted that the recipe “just depends,” then offered his preferred variation with the proviso that, as I favor robust ryes like Rittenhouse, I pair it with a sturdy vermouth such as Carpano Antica. Stenson’s formula achieves a balance while still giving the China-China room to run—which is why you’re making this cocktail in the first place. Vince Keenan is the associate editor of Noir City, the magazine of the Film Noir Foundation. 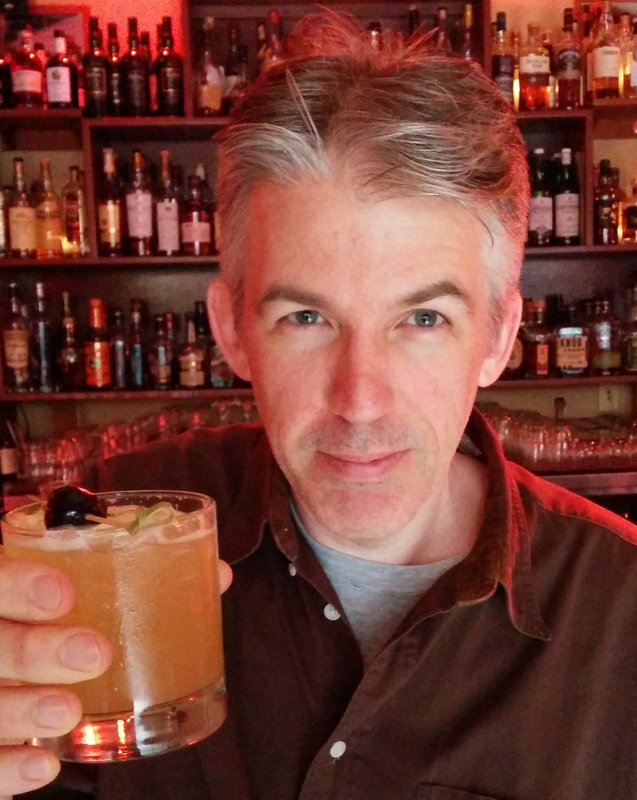 His book Down The Hatch: One Man’s One Year Odyssey Through Classic Cocktail Recipes and Lore , collecting the essays featured in Slate and USAToday.com, is a Kindle bestseller. He writes about cocktails and popular culture at blog.vincekeenan.com. An ex-pat New York Mets fan, he lives in Seattle. 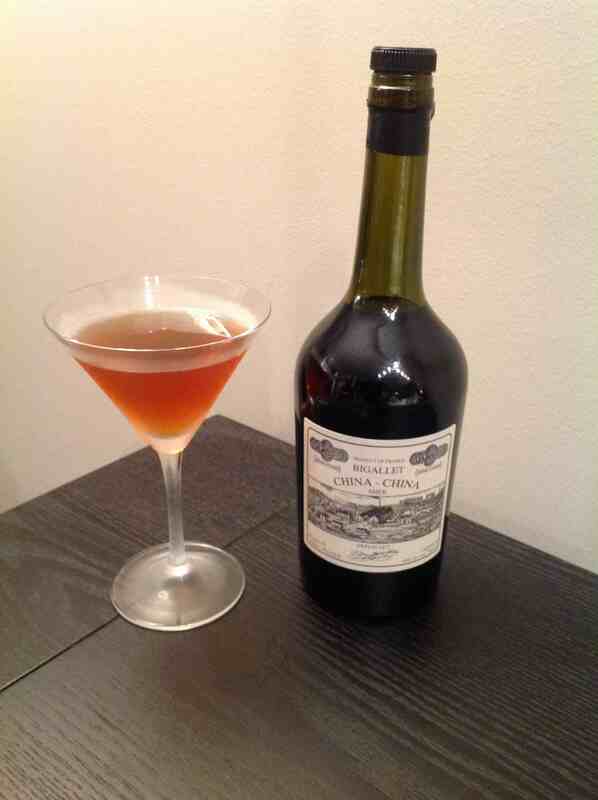 This entry was posted in Drink and tagged Bigallet China-China, bitters, cocktail, Down the Hatch, Drink, maraschino, orange, recipe, rye, vermouth. Bookmark the permalink.